The Sherry Frontenac is perfectly suited for a relaxing getaway. The hotel is surrounded by a myriad of restaurants, shops, and recreational facilities. 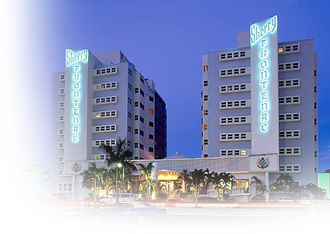 The Sherry Frontenac is minutes away from the posh shops of Bal Harbour and the nonstop South Beach scene. Click here to view a map outlining the many things to do in the area.